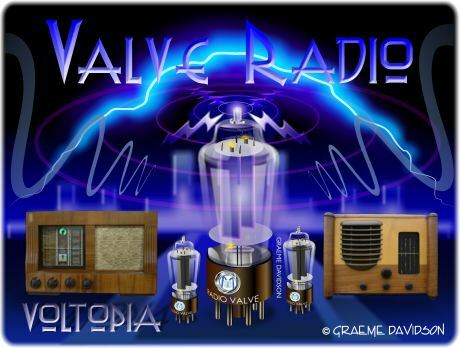 There's nothing quite like a beautiful old valve radio. They have appearance, character and a simplicity of design rarely seen these days in a domestic appliance. Their sound quality, whilst technically imperfect, is very, very pleasing to the ear as many a valve enthusiast will tell you. 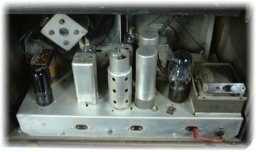 I dabble with old valve radios from time to time and remarkably many spares can still be found to get one up and running. It's quite rewarding when an old set slowly crackles back into life after decades of lying dormant in less than ideal storage conditions. Alert Distress frequency receiver housed with "AutoKey"
I may snap some photographs of the latter to put up on the site, time permitting! I also have three Collins R390A URR military HF receivers (0.5MHz -32MHz). Manufactured in 1956 and produced up to 1984, these are truly remarkable units even by today's standards. Their existence was once classified as top secret! My R390s were acquired around 1986, complete with the original TM 11-856A manual. I used two of them for a few years and had to store them away as other interests took over. I'm currently working on one (26/07/03) to restore it back into operation after an extended storage period of around 16 years. A few capacitors needed attention (top of the list were C603, C606 and C553, of course!) but the receiver powered up first time without any smoke escaping and was immediately useable! Tuning was spot on and sensitivity was rather good but a "quick" realignment improved matters greatly. Surprisingly there does not appear to be a huge following of the R390 in the UK as there is in the USA but since they were American Army Units and weighed 75lbs, I don't imagine many made it over to the UK other than through the "official" channels. I am perhaps lucky to have a few to myself!